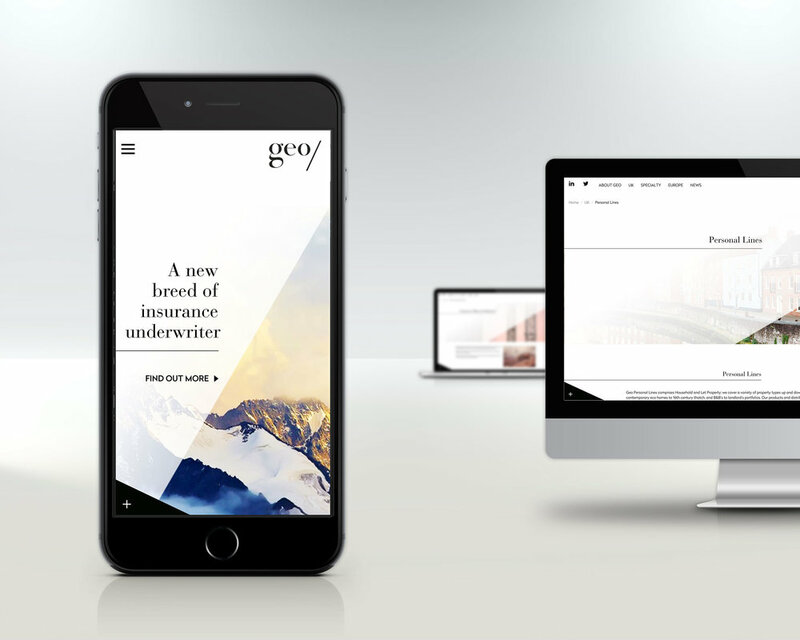 Working contract for Free Partners in London, I was tasked with designing a responsive website for the brand relaunch of Geo - A new breed of insurance underwriter. Formally Towergate Insurance, Geo took on a sophisticated visual style, not seen before within the insurance sector. The experience and look of the new website needed to reflect that. Take a look around the current site here. The goal was to take the subject matter from the existing Towergate Insurance website and repurpose it in to a working prototype for the client. I began by taking the top level categories such as Personal and Speciality to start conversations with the client as to where to start with the navigation. I wanted to keep the beginning of the journey for all users a simple one. Check out a lo-fi interactive prototype here.